SunSquabi closing down their tour with STS9 with a packed show at the Fillmore Philly. 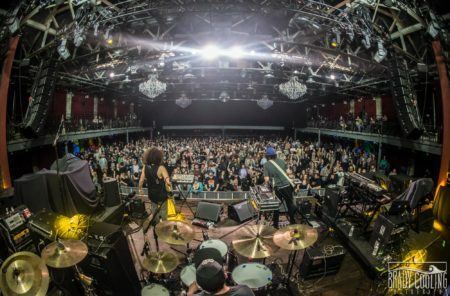 SunSquabi closing down a packed house at the Fillmore Philly from behind the band. What a great group of musicians!